« Jody Porter featured in Magnet Magazine! News :: The Bloodsugars a Top Summer Jam! 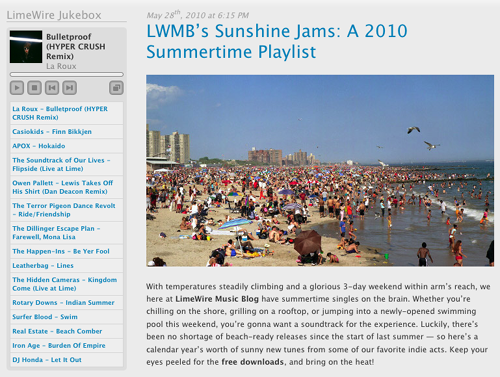 The kind folks over at Limewire included The Bloodsugars’ “Pedestrian Boogie” in their top songs for the summer playlist! The guys are in great company with Local Natives, Surfer Blood, Apples In Stereo and The Raveonettes all making the list also. To read the full article please go here.